Did you know that Awapuhi is a ginger? Yep, it is a ginger plant not native to Maui, and like you, traveled a long way to enjoy all Maui’s volcanic earth has to offer. Unlike Awapuhi, which had to rely on its own roots to experience the island, you‘ll have a friendly companion to lead your tours and adventures on the island in a natural, environmentally-conscious manner. Here at Awapuhi Adventures we do things a little differently. Your Tour Unfolds at Your Pace! Our naturalists will explore Maui with you, rather than guide you. You will not get a canned tour. Your naturalist will tailor all outdoor activities to your specific interests, fitness level, and curiosity. We want you to feel as though you’re in charge of your destiny and if you want to see something specific that is not listed you let us know and well create a trip specifically for you. We will never push you to do anything outside your comfort zone. However, if you show hints of desire, we will open the door to tours and adventures that let you experience something new and different in a safe and protected manner. Even if you can’t swim, you can experience snorkeling or waterfalls. We do not have an age limit as long as the keiki (little ones) are up for it. Babies should be carried as you would at home, but as long as toddlers can walk, we can take them into the rain forest. It is advised that you bring your own child seat and any special snacks they may want through out the day. Our Road to Hana Adventure (all the way around) tour is designed to be all-day (10-12 hours). The Hana and Back tour is 6-8 hours, Half-way to Hana is 5-6 hours, West Maui Tour is 5-7 hours. Maui Farm Tour are 4-5 hours. Lunch is ala carte for each adventure with options to stop at wonderful local BBQ stands, Food Trucks and/or local casual restaurants. We look forward to meeting you, your family and your friends!. Get ready to experience the Hawaii you have dreamed about and more! Please select which area of Maui you are interested in exploring with us for more details on specific adventures featured at Awapuhi. And, keeping with one interpretation of Awapuhi which is food of the upcountry and food of the sea our adventures all touch both land and water. 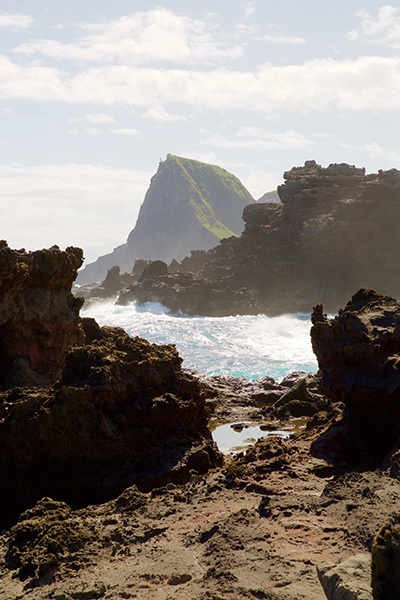 Or in other words, we will explore both the makai and mauka side of island life! Book your excursion now!